Should We Be Okay with $1000 Smartphones? We Have to Be. Earlier this week, Samsung unveiled its latest and greatest smartphone: the Galaxy Note 8. 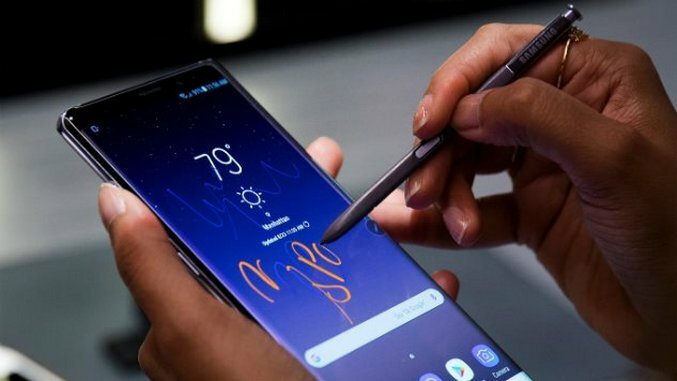 The phablet has everything it needs to make users forget about the fiery saga that prematurely ended the reign of it’s predecessor; It’s gorgeous, sharing a visual identity with the S8 while being slightly taller and squarer, it has all the modern specs you want, including a bump up to 6GB of RAM and the S Pen is still around and still the best mobile stylus on the market. There’s even a few new tricks, some of which are worthy of your attention (the new dual-camera system), and some that aren’t (Bixby). It’s also expensive as hell. Smartphones have been inching up in price the last few years, and Samsung has been at the forefront of that upward trend. The new Note 8 pushes the envelope of price close to $1000, which is also the rumored number for the premium edition of the next iPhone. The $930 figure is gobsmacking, despite how clearly beautiful and well-built the device appears to be. It begs the question: should we be okay with this? The pricing of smartphones is always a little amorphous. Not in the sense that there isn’t a defined number, but that how people look at that number changes depending on numerous factors. If you’re planning to pick up a Note 8 unlocked, the $930 price tag is shocking. Though so many people rely on their phones to do countless things for them throughout their day, the idea of paying laptop-sized money for one is still foreign. Many people don’t buy unlocked, though, and thus don’t drop huge sums of money upfront when they pick up a new device every few years. Instead, the price of a smartphone is often broken up. You either pay a lump of the cost up front, usually between $200-300, and then the rest over time as a part of your regular cell phone bill. Or, you put zero money down and the entire cost is broken up into monthly installments. This modern approach has undoubtedly allowed companies to raise their prices without huge consternation from consumers, because the difference between a $700 phone and $900 is less than ten bucks when spread over two years. Monthly installments can even be less than the price of the phone divided by 24 months, because many providers now hit users with a choice at the end of the agreement: pay off the remaining balance and own the phone you’ve used every day for the last two years, or trade it in and get something new. It’s a slimy way of doing business, but one that allows both the cellular providers and smartphone makers to push prices even higher. This trend of higher and higher smartphone prices is unlikely to change. Consumers have one powerful tool to vote against trends like these, their wallet, but despite skyrocketing prices, consumers are still buying the Galaxy S8 and iPhone in droves. The question then shifts from should we be okay with this, because millions of people are voting yes with their dollars, to: what is the breaking point? That’s a question that requires a huge amount of speculation, and I don’t have enough insight or economic sense to try and put a figure on it, but I do think the next edition of the iPhone could hold the potential answer. If Apple releases multiple new iPhones next month, including less expensive iterations alongside the $1000 premium device, how each version sells could point to whether $1000 is too high an asking price. The iPhone 8, or iPhone Edition, or whatever horrendous new name Apple comes up with for its latest phone, is likely to be jaw dropping. If the leaks are to be believed, and often they are, the next iPhone could be the perfect device for any current user, as it will combine the screen size of the Plus with an overall footprint closer to the standard model. It should be a complete win for Apple, and sell an absurd number of units. But, if it doesn’t, and Apple does release less expensive versions this fall that outsell their fancier counterpart, it would be a huge sign of consumers pushing back and saying enough is enough. My estimation is that won’t happen. iPhone users are long overdue for a fresh design to gobble up, and the iPhone 8 plans to deliver. So, can we use the Note 8 as a barometer? Not really. There’s so much else the Note 8 is battling thanks to last year’s Note 7 debacle, that all Samsung really needs this device to do is sell a respectable number of units and not set anyone on fire. Anything more is gravy. That means prices are likely to continue to climb, and could hit unheard of levels in the next few years. While most rumors have the next iPhone at around $1000, some have pushed that number as high at $1,200, and with Apple’s history of pricing its products at the top of the market, it has no reason to look back. Samsung, on the other hand, has a vast portfolio of devices aimed at different sectors of the market, allowing it to keep its flagships in the high-end price bracket. There may be a tipping point, but it’s not coming anytime soon. Since the introduction of the iPhone in 2007, the smartphone has become the most important piece of technology in nearly every person’s life. Pretty soon, it will be the most expensive, too.